I spent 10 years or so of my life building risk prediction models to enable comparisons of hospital or surgeon outcomes – building risk models is complex and models will never be perfect, as they are unable to deal with the very rare circumstances, but once they get to a certain level or predictive ability they can be very useful, as long as you know what you are doing when you interpret and use the results. As I spoke about this around the world, I slightly misquoted the eminent British statistician George Box – “all models are wrong but some are useful”. I have been increasingly interested in models of various types since then and my two-year sojourn into global tech was dominated by bedding my learning within various models, many of which I have blogged about. I was out for a coffee with an old tech colleague recently and he introduced a model of the three different types of people you require in a successful business – pioneers, settlers and town planners. Like a lot of the stuff that has influenced my thinking recently, a lot more on this has been written by Simon Wardley at the Leading Edge Forum. I like this model and have thought about how this might apply to an organisation like Health Innovation Manchester. We have recently redrafted our business plan and outlined the concept of Health Innovation Manchester as a system, which encompasses all of us working to develop better products, services and approaches for health and social care in Greater Manchester (comprising academics, clinicians, commissioners and industry) and Health Innovation Manchester the organisation, which is the 50 or so folk that I lead. It seems to me that the ‘pioneer’ role applies in this world. 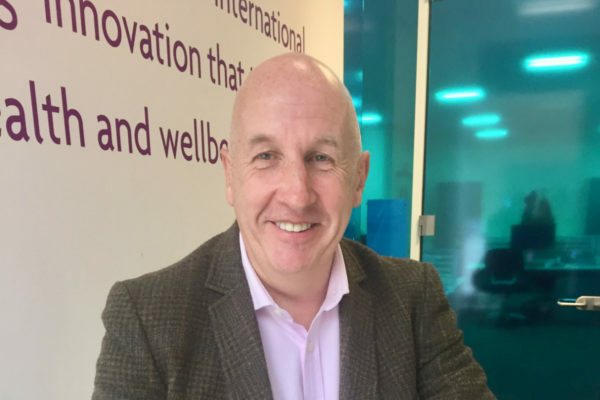 Pioneers are scattered all over Greater Manchester – in university departments, in frontline clinicians designing the way they deliver care and SMEs developing new digital solutions. There are pioneers all around the world developing innovations of relevance for GM in global pharma and tech companies, amongst others. We badly needs these pioneers and Health Innovation Manchester the organisation needs to work very hard to ensure we are sighted on their outputs. Reflecting on it, I think we are perhaps more of a ‘settler’. It has been suggested that settlers deal with opportunities for growth, increasing education, maturing products and a growing market. This seems to fit us very well. We are comfortable with constant improvement, market analysis, trend spotting, listening to customers and feedback. We look for the right place to build and develop, put down firm roots and start to scale. We must be constantly evaluating our choices. Our behaviours need to be collaborative and agile. We need to be watchful in case we make mistakes and build in the wrong place, and if so, we must move. It isn’t in our interests to encourage the town planners to spend time, effort and money building a metropolis in a place prone to floods or volcanoes. And as Health Innovation Manchester the organisation, we must also accept that we are not pioneers or town planners. And of course the town planners are important too. We have lots of them in GM, at the Greater Manchester Health and Social Care Partnership, the providers, councils, commissioners, strategic clinical networks and of course the actual town planners in the city region.